Significant advances have been made in the field of minimally invasive urologic surgery since the use of laparoscopy was initially described. Minimally invasive surgery was originally considered the realm of laparoscopic surgeons, often with additional subspecialty training. 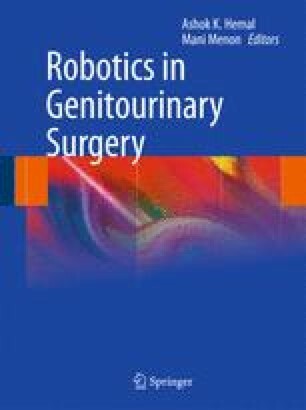 The development of robotic surgery broadened the field of urologic surgeons capable of using minimally invasive techniques for radical prostatectomy. The authors would like to thank Dr. Daniel Eun with his assistance in completing this chapter.